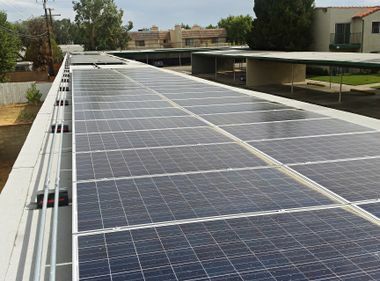 Under SB 350, which SCE supports, at least 50 percent of the electricity the utility sells would come from renewable resources like solar energy. SCE supports SB 350, a proposed bill that would allow 50 percent of the electricity the utility sells to customers to come from renewables. 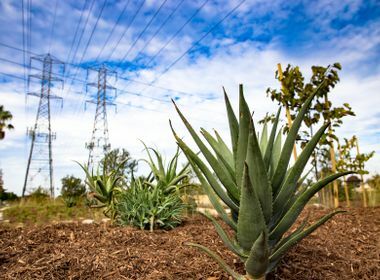 At least 50 percent of the electricity Southern California Edison (SCE) sells to customers would come from renewable resources under a bill the company is supporting. SB 350, authored by Senate Pro Tem Kevin de León, is pending in the state Legislature. It has two key components to be achieved by 2030: requires that 50 percent of energy sales to customers come from renewable power and doubles energy-efficiency savings. Under current law, investor-owned utilities are required to have 33 percent of their electricity sales come from renewable resources by 2020. In setting the 50 percent renewables target, the bill would expand some flexibility of the rules in place for the 33 percent renewables requirement. For example, it would allow for a modest use of shorter-term power purchases to secure lower-cost resources that can save customers money. In the transportation area, the bill would allow utilities to play a long-term role for creating infrastructure for electric vehicles. SCE has information available to educate customers about installing a home charging station, home fueling and electricity rate plans for electric vehicle owners. The bill also would establish a new integrated resource planning process to foster the development of comprehensive plans that meet California’s greenhouse gas reduction goals while assuring safe, reliable and affordable service. 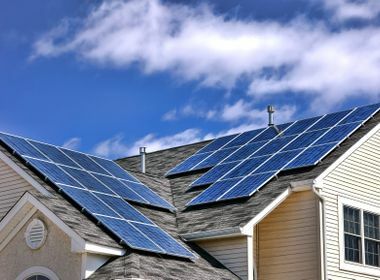 SCE and other utilities would be able to use all tools available to the electric sector, from renewables to emerging technologies like energy storage, to implement the state’s goals. SCE’s efforts to further the development of the 21st century power system align well with the integrated resource planning process. SCE worked collaboratively with the offices of the governor, Senate pro tem and Assembly speaker on the key aspects of the legislation.